John M. Stomper, CPA, is an audit partner in the Financial Services Industry Practice based in CohnReznick’s Chicago office. 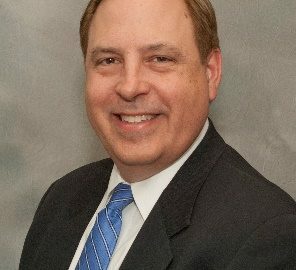 He has more than 30 years of diverse accounting experience including nearly 20 years of providing audit and consulting services to an array of financial services clients, including private equity funds, hedge funds, registered investment companies (mutual funds, unit investment trusts, and BDC’s), specialty finance companies, and other alternative investment vehicles. John recently joined CohnReznick to bolster the Firm’s Financial Services Industry Practice in the Midwest. He currently serves private equity funds, hedge funds, and other alternative investment vehicles. John has consulted with clients on fund formation, financial reporting and valuation issues. He is also a specialist in performing GIPS verification engagements. John has been a speaker and panelist at several fair conferences, including the AICPA Fair Value Conference and the Illinois Venture Capital Association Fair Value Panel. He also has served on the AICPA Expert Panel for Investment Companies. Prior to joining CohnReznick, John led the mutual fund practice at a nationally recognized accounting firm and was a partner in the Investment Management practice at a Big 4 Accounting Firm. At those firms, he was responsible for the audits of mutual funds and other registered products, as well as private equity funds and hedge funds.